Got a pair of these local and really dig the cabinet and design. 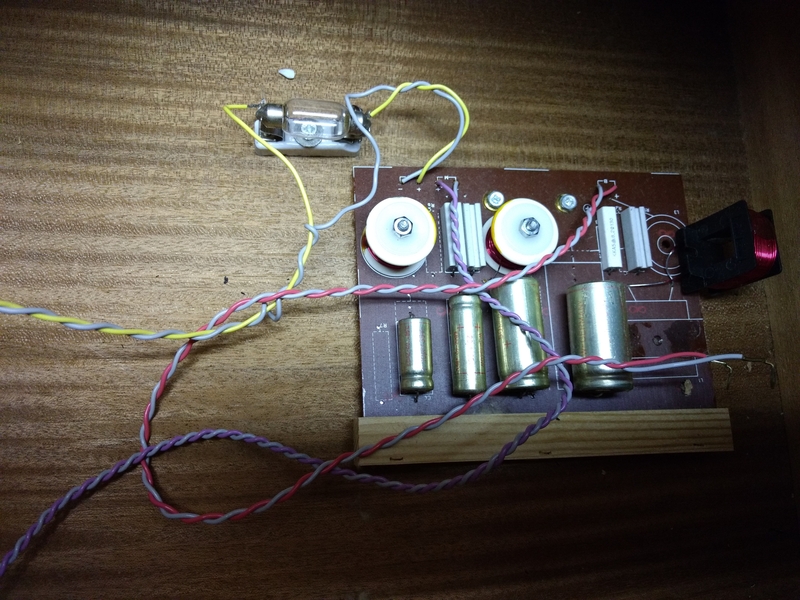 Crossover PCB is superb for the year these were manufactured (around 1971 - 1974). This is going to be a winter project with new capacitors, new seals for the drivers, new mounting hardware, possibly new binding posts and a lite sand and shine for the cabinets. In case the OP's not aware of it, there is a website with a smattering of Tandberg literature & catalogs (not all in English, not surprisingly). Dang. Stuff like that is not available around here. How do they sound now? Really nice pickup! You are a walking encyclopedia of all things audio. We are all better for it. Thanks! The tanbergs I've seen are TEAK cabs, beautiful wood. Never had my ears on them but would like too. Nice find! 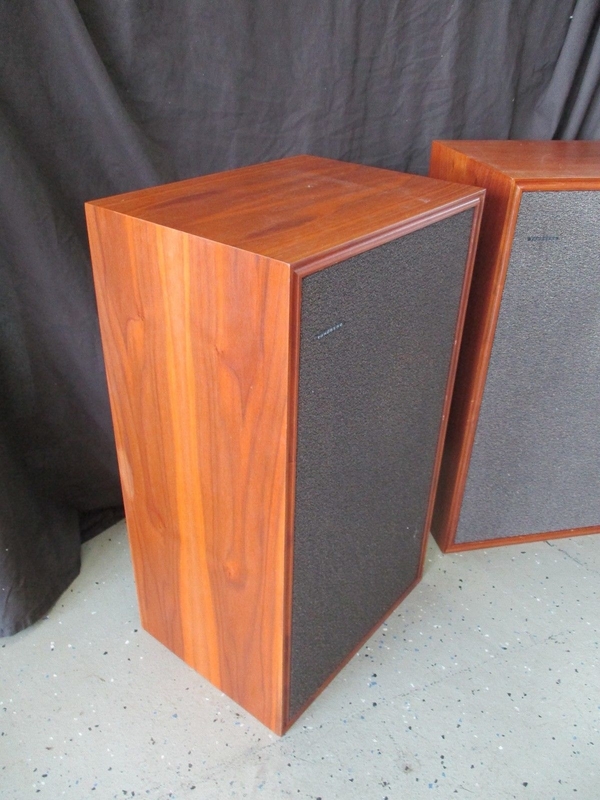 Scandinavian loudspeakers, by and large, very niceto listen to, IME/IMO. Thanks for the information mhardy! 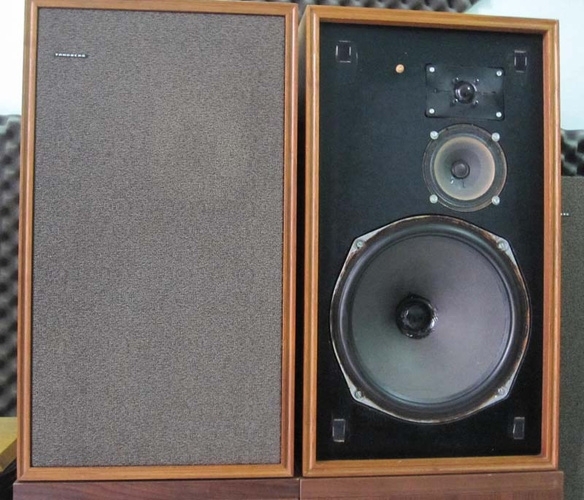 A friend of mine bought some Jamo speakers back in 1984. They sounded good, but my baseline at the time was, shall we say, "relatively low". They were the type that had what looked like louvers over the tweeter. Word to the wise! If doing any sanding on teak wood wear a filter mask as teak dust can make you very sick. Learned this in the boat building busines as a young teen building yachts. There is an OIL in them that is somewhat poisonous. Tandberg made excellent receivers as well. 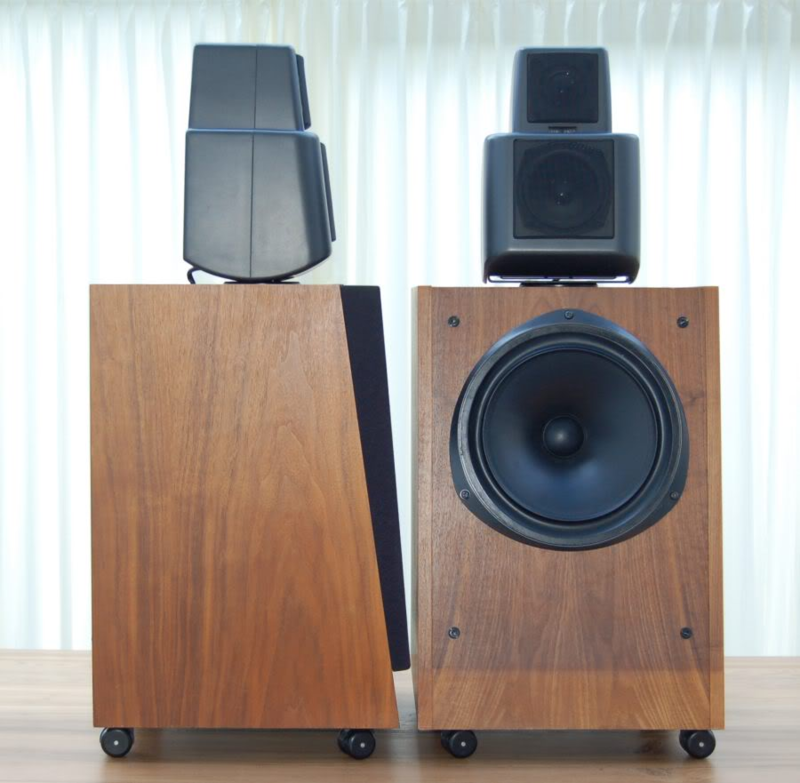 The drivers on this speakers look phenomenal, the crossovers look really clean too. I would test the components before replacing anything... you may find that their still under spec. The Xover diagram is at hifiengine. FWIW the only thing I'd be looking (hard) at are those capacitors. I cannot tell what they are based on the photo. If (????) they're NP electrolytics, that's what I'd change. They may well not be -- but I ain't sure. PS are all y'all cool with the protective used of the light bulb? 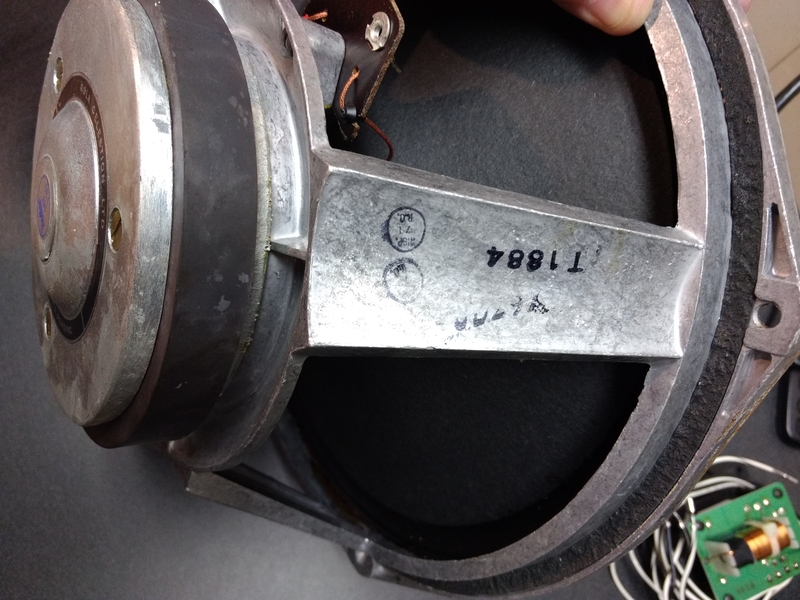 I mean, it's a valid thing that's been done in many loudspeaker designs -- but it seems a little... inelegant, doesn't it? Those tin cans should all be checked. The lamps were used quite often by many manufacturers. They do exactly what they're supposed to. If you have a ported system, being driven hard, you will frequently see them glow. Not sure how they affect the audio signal. They could be replaced with a resistor, but you give up protection. In my opinion, much less intrusive than Polyswitches. I usually replace them with new, equivalent "Festoon" lamps. Oh, there's no doubt that using a light bulb in series (like the so-called "dim bulb tester") does what it's supposed to do. I'm just not sure how audibly unobtrusively it does it. It could add a certain "brightness" to the treble? I know WATT you mean. Or were you just trying to make LIGHT of the situation? EDISON the phone. I'll ask his opinion. Although maybe he will just LAMPoon it as you did. SOCKET to me, Ed. And we get all this banter for free! Lordy, I love this place! It's free for now. It might be $400 a year in the not too distant future. 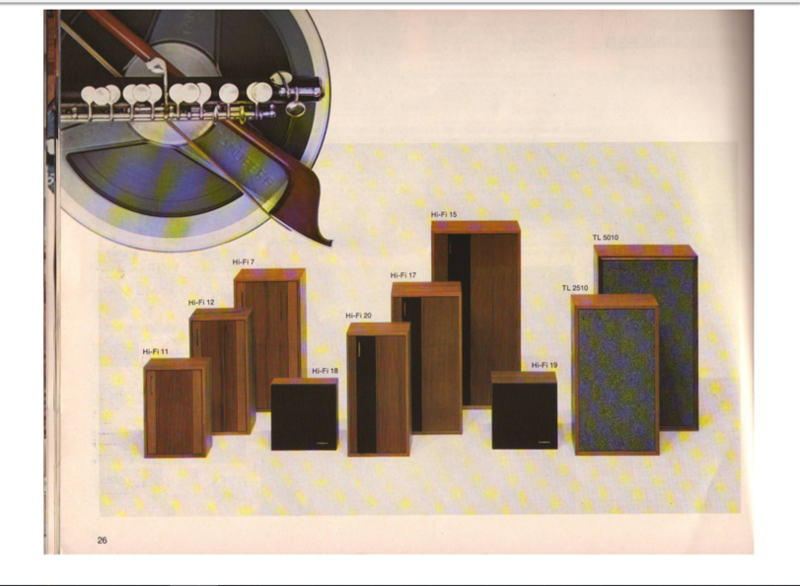 In days of yore Polk made an on-wall type speaker that used the same tweeter protection device. Sometimes owners would telephone us asking about the light they could see blinking at them from the speaker. 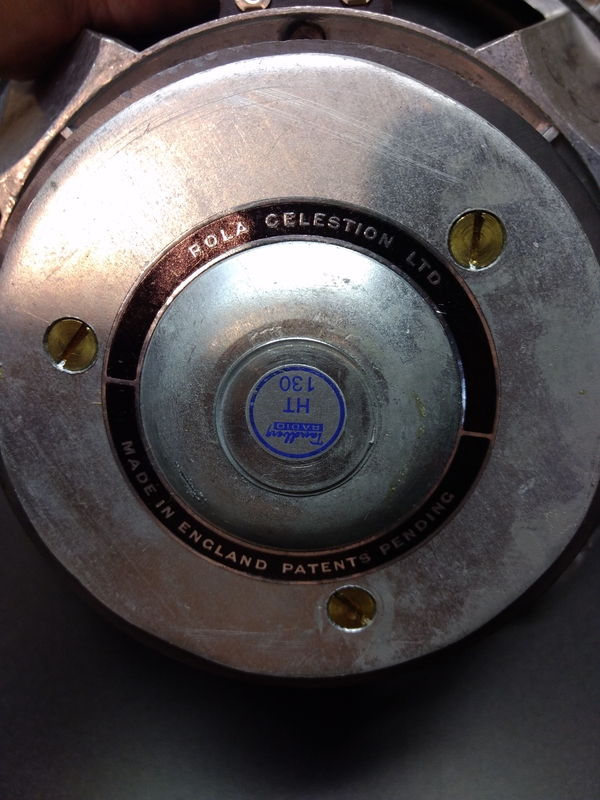 Anyone remember a British speaker that used a small light to help with speaker positioning? 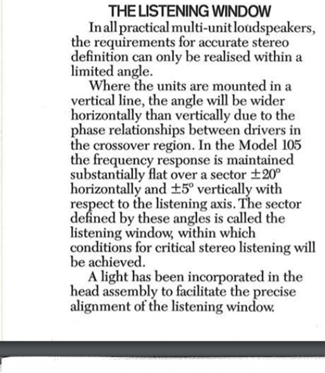 You are correct, the listener turned the upper section until they could see the small light in each speaker. The light had a very narrow dispersion so it would "blink" on. Great sounding speakers! There was a pair on CL a few months ago near DC that looked in great shape. Yeah, I always liked 'em.